Whilst everyone else's attention was on George Osborne's Budget yesterday, Barclays quietly revealed a slew of multi-million pound bonuses for its top execs, who are literally laughing all the way to the bank. Delighted with a couple of hundred quid off your tax bill next year, or worried about shrinking wages and inflation eating away what you earn? Well if you’re Rich Ricci, a top banker at Barclays, you really couldn’t give a hoot. Ricci discovered yesterday afternoon that he is due an £18m bonus, on top of the £6m he pocketed last month. 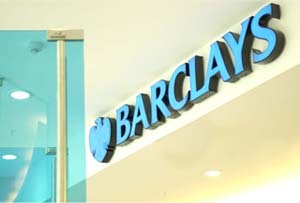 And that’s not it: the bumper windfall was just one part of a £40m jamboree of cash doling at Barclays. A pot of £22m is to be shared between eight other executives at the bank, which including £5.6m for the banks chief Antony Jenkins, who last year forwent his bonus in the wake of the Libor scandal. Cue criticism throughout today (and it’s already brewing on Twitter) that Barclays would reveal the enormous sums on the same day that everyone else was worrying about how their own finances will look next year.